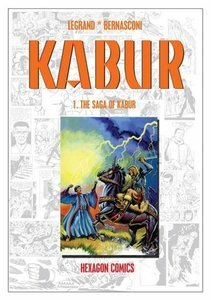 Prince Kabur is the son of King Sharon of the mythical Kingdom of Ultima Thule. He is exiled after being accused of nefarious deeds, in reality perpetrated by his evil twin, created by the wizard Sham. 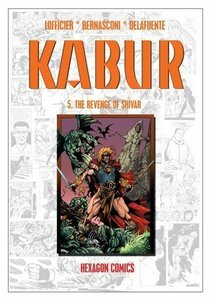 Kabur and his companion, th bautiful Lagrid, wander the world, fighting for justice and trying to capture his twin to prove his innocence. 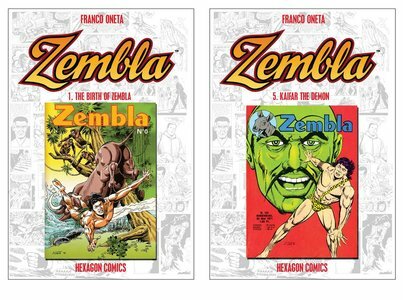 After his parents were murdered, baby Zembla was raised by and among lions. When he reached adulthood, he decided to use his jungle-born abilities to protect his beloved Karundan jungle with the help of young native Ye-Ye and down on his luck stage magician Rasmus. HOMICRON, a NASA physicist whose body is inhabited by a powerful alien. STARLOCK, the former servant of awesome cosmic entities, now a fugitive. FUTURAm a mysterious woman from another dimension. JALEB, the secretive agent of a race of telepaths. 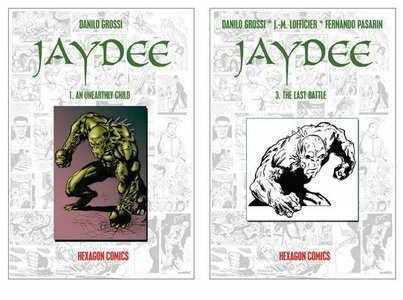 JAYDEE, the deadliest killing machine in the universe. 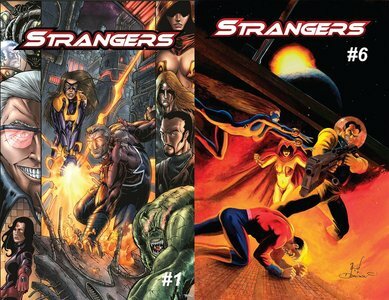 These are the STRANGERS, brought together by TANKA, an "invariant" empowered by an unfathomably distant future to safeguard our world. 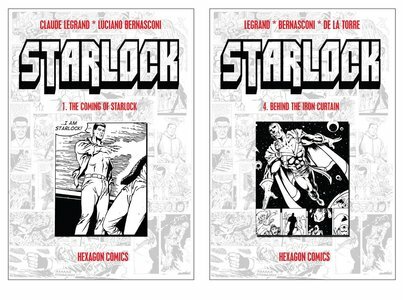 Starlock is a super-powered alien stranded on Earth who shares bodies with astronaut Nick Thaler. 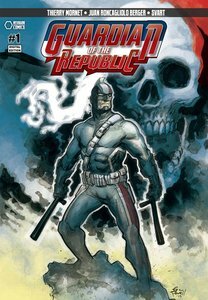 He becomes hunted by the U.S. government and the evil organization S.P.I.D.E.R. led by Madame Tarentula. 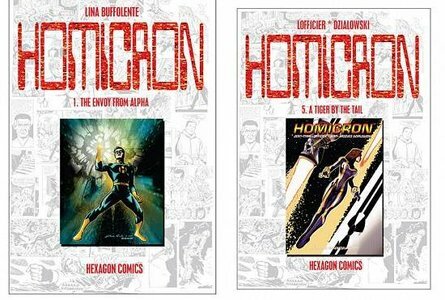 Homicron is an alien from planet Alpha, whose inhabitants have the power to turn into energy beings to explore the cosmos. To save an American scape capsule, Homicron becomes trapped on Earth. He merges with the body of astronaut Ted White, who otherwise would have died from a heart attack. Using an energy transformer designed by girl-friend Rita Tower, Ted White turns into Homicron to fight evil.